Welcome, we hope you enjoy your Spring Break here in beautiful Miami Beach! While vacationing in our City we want you to be safe. The best way to do this is to follow the rules. No alcoholic beverages/open containers. It’s the law. 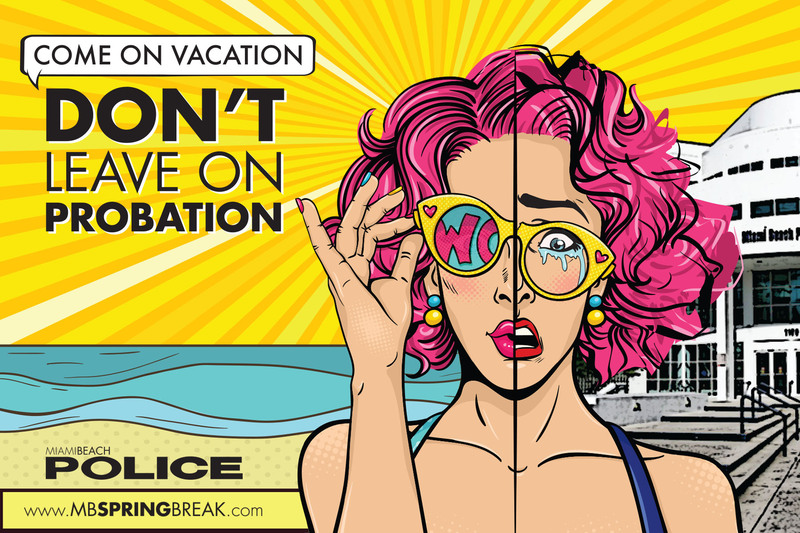 Come on vacation, don’t leave on probation! No one likes litter. Stash your trash. No tents, tables and similar structures. No glass containers or Styrofoam on the beach. No coolers, backpacks/beach bags or inflatable devices. Visit our concession stands for all your beach needs. There will be security guards at the beach entrance points enforcing our rules. Stay connected with Miami Beach PD on Twitter, Facebook and Instagram.